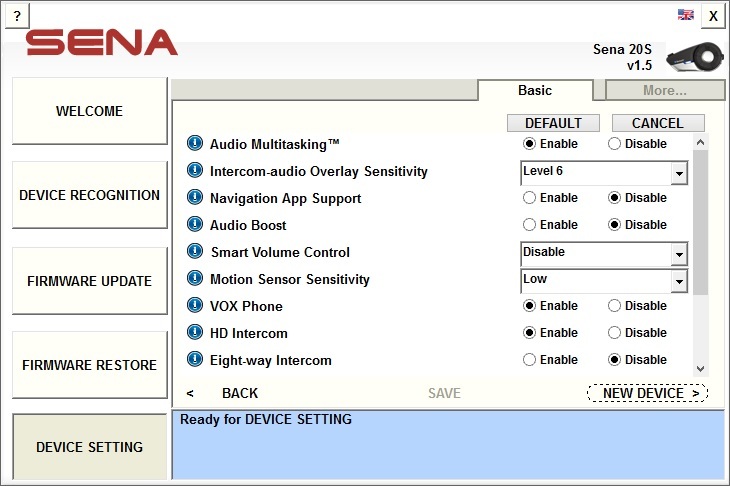 The [Device setting] page displays the current device setting of the selected device and helps users to change them easily. The items of the device setting depend on the kind of the device and its version. Because no device setting is available for SM10, the [Device setting] page cannot open. The [Device setting] page opens when the [NEXT >] button at the [Firmware update] page or the [Firmware restore] page. It also opens by pressing the [DEVICE SETTING] button among the work list buttons. : displays the current settings and can be changed. 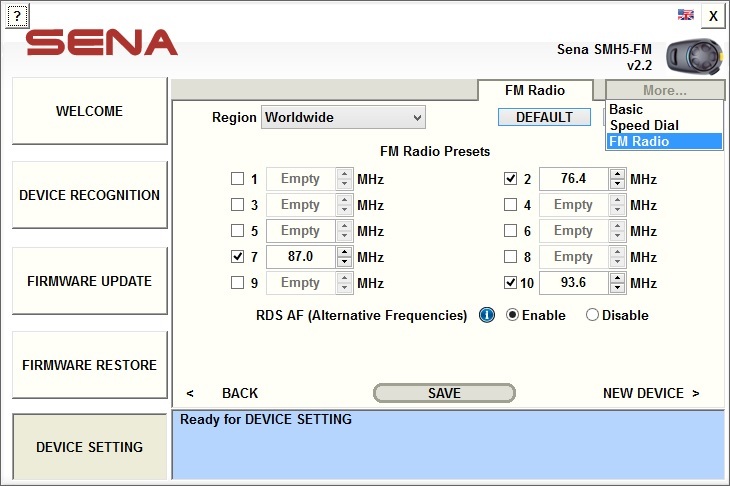 : Can move to other setting menus (Basic, Speed Dial, FM Radio). : pops up the screen displaying the explanation about the corresponding setting. 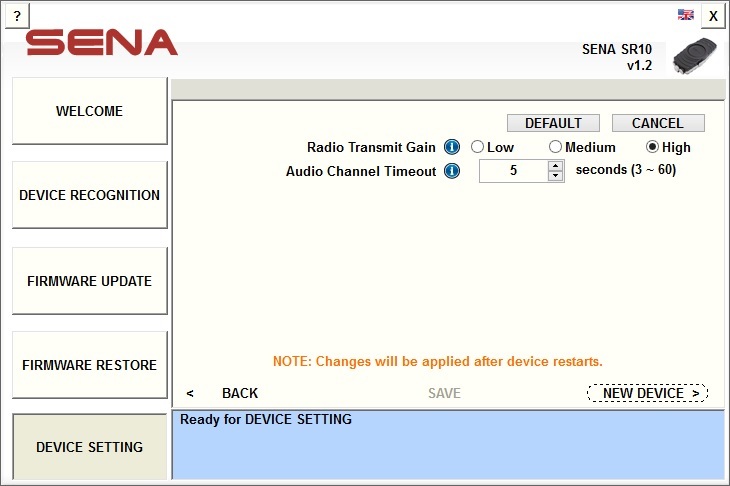 : set the device setting to the default values. : cancels the unsaved changes. : saves the changes of the device setting. NOTE : Changes will be applied after the device restarts. : opens the [Firmware update] page. : opens the [Welcome] page for new device.